Quilted Round Placemats and Napkins by C&F | P.C. Fallon Co. 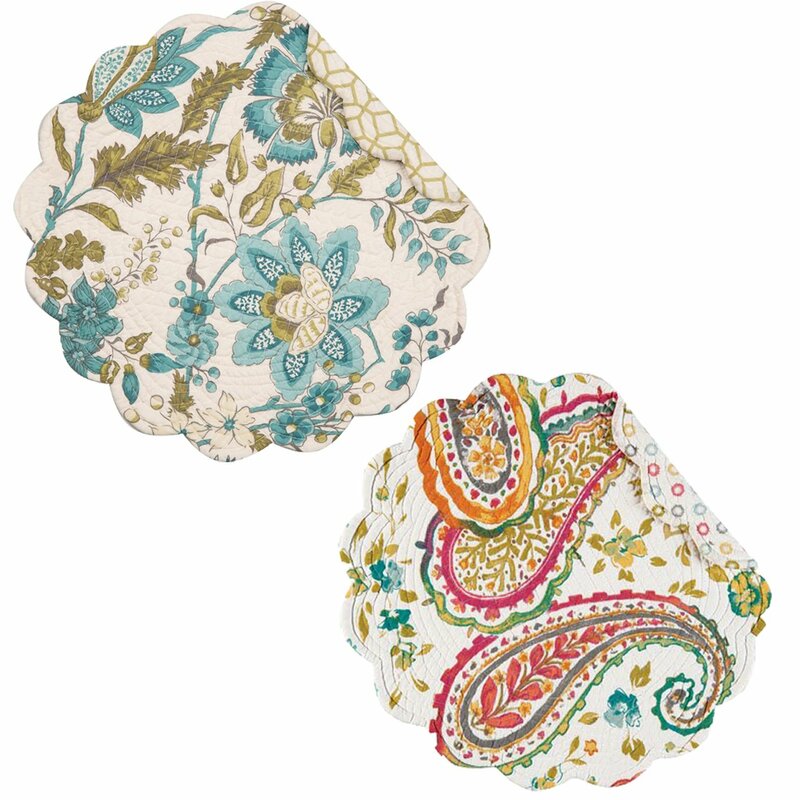 These lovely placemats from C&F Enterprises are fully reversible. The main print reverses to a complimentary print, giving you two looks for the price of one. Simply flip them over for a fresh new look. Quilting on the mats adds appealing dimension and lovely texture. Dozens of patterns, colors and styles will complement traditional, contemporary, rustic, coastal or lodge decor.